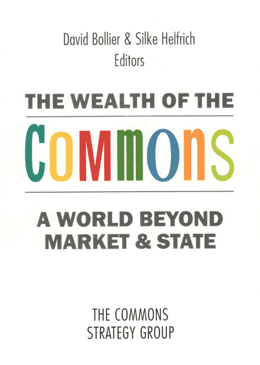 When we talk about commons in Europe, the question usually arises whether public services are also to be considered commons. In order to answer this question, we must examine our understanding of the (social welfare) state on the one hand and the concept of the “public” on the other. As the neoliberal economic model prevailed around the world, the role and functions of the state were redefined. Now the most important task of the state is to ensure competitiveness in the global economy. By default, the provision of goods and services occurs according to market criteria, or this responsibility is delegated entirely to private companies with the expectation that they will improve efficiency and customer responsiveness. This has been an unfulfilled promise, however. Indispensable goods and services have become more expensive, are often no longer available everywhere, and their quality has diminished. It has become clear that the state is not a neutral actor that truly represents the interests of the general public, but rather it reflects societal power relations. Are the state and the market the only options? In the economic definition of goods, public goods are generally characterized as non-rival and non-exclusive – that is, one person’s usage does not “use it up” or preclude another from using it. But since the terms of exclusivity are societally negotiable, the definition of what is “public” – i.e., what should be provided by “the state” – is decided at the political level, even more than in the case of commons.3 Even Adam Smith had stated that the state must provide certain things that the market does not provide yet which are in the public interest. He mentioned raising and educating young people, for example (Smith). In the social welfare state, political decisions have assigned many responsibilities to the state, from energy, water supplies, public transportation, housing and public media to health care and education. The state’s role was to make sure that these things were available to all. So if nowadays more and more of these areas are assigned to the market, then these, too, are political decisions. Because of this dualism of the market and the state, people have come to perceive that “public” means that something is owned or provided by the state, which is seen as a service institution to meet the needs of its citizens. Historically speaking, however, the state and the public have been understood in different ways. To Aristotle, for example, man was a zoon politikon, a social being by nature who is destined to organize a society and to act within it. The ideal of the citizen was derived from this concept and citizens were defined by their “participation in judging (krísis) and governing (arché).” Both took place in the public assembly of all citizens who had to fulfill their rights and duties there (Schmidt 2007).4 This active involvement by the citizens constituted the state and did not take place outside of governmental structures (ibid. : 13). Issues of public interest were not handled by the institutional state in all these cases, but by all people who participated in shaping a community. Such a concept of the public points to people’s ability to appropriate what they need and self-authorize their actions, defining the public sphere as the locus of commoning. Current discussions about public space also point in this direction (Kruse/Steglich 2006). Thus, we can also pose the question about public services from the perspective of the commons, whereby state institutions can also carry out various functions. Since self-determination is easiest to implement at the local level, it is municipalities above all that can benefit from the idea of the commons.13 One way of doing this is through municipal cooperatives as an alternative to public-private partnerships. Numerous cooperatives of this kind are currently emerging in the field of renewable energy. The funds for financing public institutions come from the citizens themselves, who in return have opportunities to participate and make decisions. While this makes sense in some contexts, it is not a universal solution; after all, the point is also to provide sufficient funding for public services, not simply to replace them with voluntary contributions on the part of the public. In her book Reclaim the State (Wainwright 2009), Hilary Wainwright describes how people can succeed in taking responsibility for public funds. For example, the people in an affected neighborhood can rally to win authority and direct benefits from state funding rather than delegating such authority and money to, say, real-estate developers commissioned with developing a neighborhood. Wainwright demonstrates that citizens and local politicians can join forces and successfully bring pressure to bear on businesses as well as on politics at the state and federal level. What such initiatives share with commons is that the users themselves actively take control; rules are devised in a bottom-up procedure, and people demand control over their lives and are prepared to take responsibility for them. In addition, the citizens active in such arrangements can delegate various tasks to the state or the municipality. But in turn, the state and the municipality are held accountable to them, and there must be decision-making procedures that include the users and the people employed. For example, governmental institutions can be assigned to serve as trustees by managing various things according to decisions made by the citizens, but those institutions are denied the right to dispose of resources or sell them at will. In case of conflict, the state can offer mediation and must provide space and funding to carry out such decision-making procedures. The city government of Porto Alegre did so in exemplary fashion for the participatory budget process (Wainwright 2009). Another example is the process for public procurement in Mexico City, one of the world’s megametropolises. Government institutions should also be used to support those societal groups for whom it is difficult, for various reasons, to participate in decision-making processes. How services are provided – by the state, controlled by those affected; by citizens, through various forms of government support and financing; or in self-organized social networks – must be decided anew in every individual case. The prerequisite is that this space for political empowerment is not enclosed by means of privatization. Esping-Andersen, Gösta. 1990. The Three Worlds of Welfare Capitalism. Cambridge. Polity Press. Hirsch, Joachim. 2002. Herrschaft, Hegemonie und politische Alternativen. VSA Verlag, Hamburg. Kaul, Inge, Pedro Conceição, Kattel Le Goulve, and Ronald Mendoza. 2003. Providing Global Public Goods: Managing Globalization. Oxford and New York, NY. UNDP. Kruse, Sylvia; Steglich, Anja. 2006. Temporäre Nutzungen – Stadtgestalt zwischen Selbstorganisation und Steuerung. In: Möller, Carola; Peters, Ulla; Vellay, Irina: Dissidente Praktiken. Erfahrungen mit herrschafts-und warenkritischer Selbstorganisation. Ulrike Helmer Verlag, Königstein/Taunus. Schmidt, Jürgen. 2007. Zivilgesellschaft. Bürgerschaftliches Engagement von der Antike bis zur Gegenwart. Rowohlt Verlag, Reinbek bei Hamburg. Smith, Adam (undated edition; original, 1776). Reichtum der Nationen. Voltmedia GmbH, Paderborn. Wainwright, Hilary. 2009. Reclaim the State. Experiments in Popular Democracy. London. Seagull Books. 1. This term was coined by Joachim Hirsch. (Hirsch 2002, pp. 110ff. 2. However, these elements were represented in varying degrees in the different types of social welfare state as distinguished by Esping-Andersen (1990, pp. 9ff). 3. See the contributions by Silke Helfrich, James Quilligan and Josh Tenenberg in this volume. 4. However, only free men, who were not obliged to contribute to the labor necessary for societal reproduction, were in a position to participate in this public discussion; such labor was performed by slaves and women. 5. See the essay by Peter Linebaugh in this volume. 6. Cf. http://sabitzer.wordpress.com/tag/bergwesen. Tratte was a common term for the commons in Austria. 8. For more on this topic, see Nancy Folbre. 2001. The Invisible Heart: Economics and Family Values. New York. New Press. 9. The three aspects of public goods as developed by Inge Kaul in a different context can provide inspiration for such a definition of publicness (cf. Kaul et al. 2003: 21). 10. The Berliner Wassertisch: http://berliner-wassertisch.net. 13. See, e.g., http://kratzwald.wordpress.com/2011/03/23/commons-und-kommunalpolitik/ and http://kommunalwiki.boell.de/index.php/Kategorie:Commons. 14. See Massimo De Angelis’ essay. 15. The declining numbers of children in Germany and their increasing social problems are symptomatic of this. Cf. http://www.freitag.de/politik/1131-kinderarmes-deutschland. Brigitte Kratzwald (Austria) is a social scientist and commons activist. She hosts the website http://www.commons.at and blogs at http://kratzwald.wordpress.com.